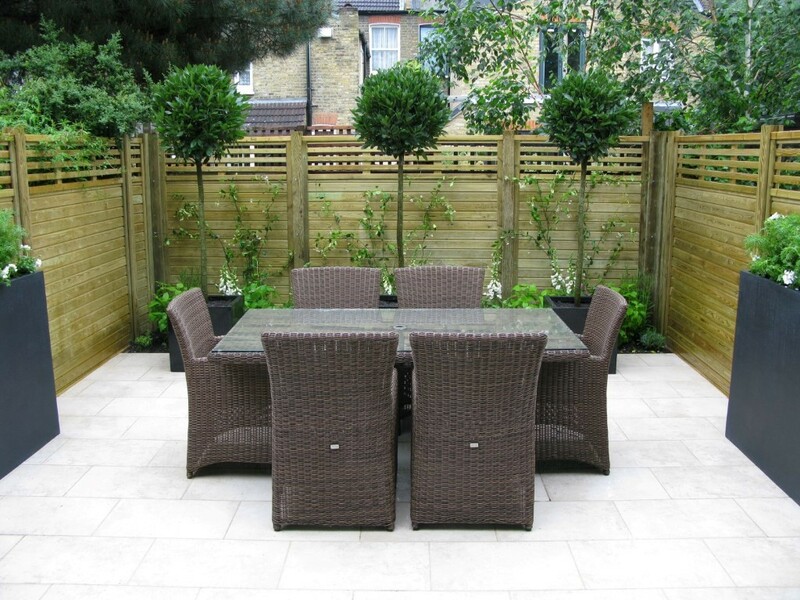 Low maintenance, traditional front garden design, with predominately white planting. 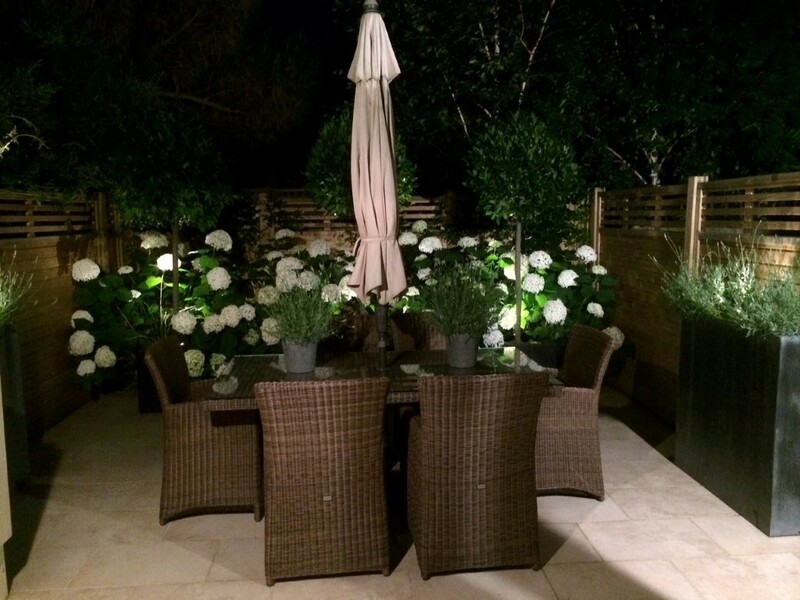 Our client wanted a low maintenance front garden, with predominately white planting in a traditional style, and year-round interest. 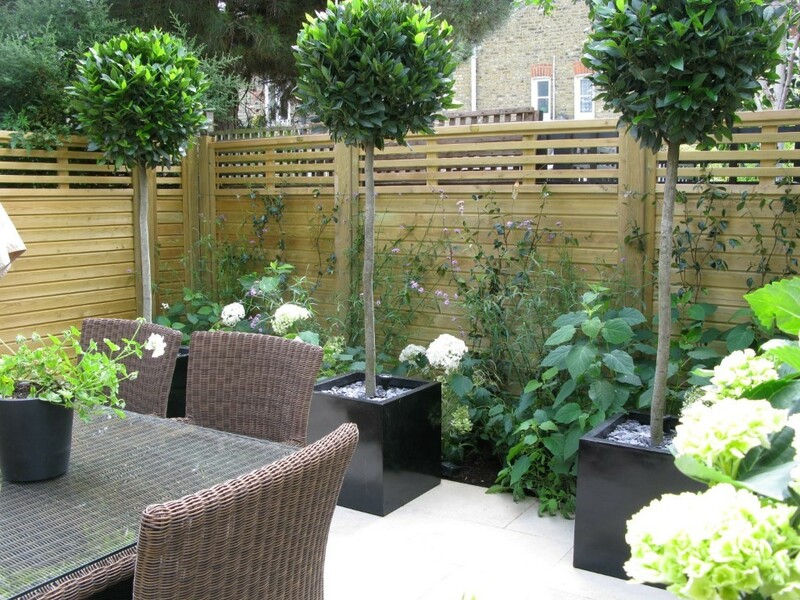 We designed a scheme which included a backdrop of topiary with evergreen Box balls and clipped bay cones, giving year-round structure to the garden. The borders were edged with black grass and interplanted with spring flowering bulbs. 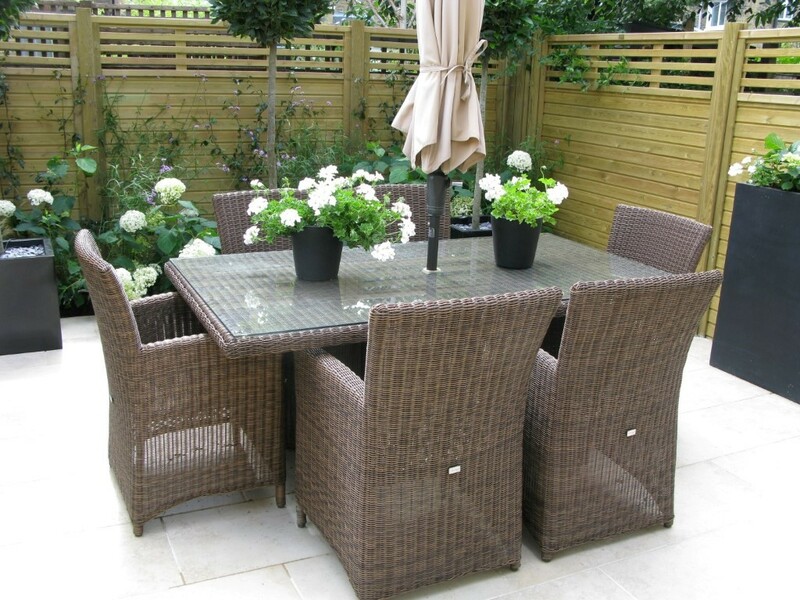 To give height throughout the summer, we used white Iceberg standard Roses, interplanted with Alliums and Tulips, and for autumn interest, we planted Hydrangeas. 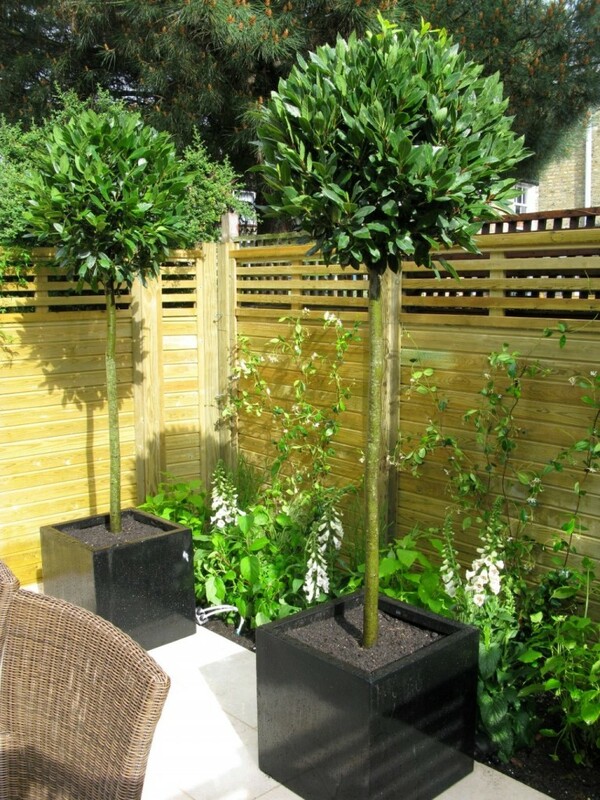 The entrance was given a greater degree of stature with two large planters containing Camellia standards and seasonal flowering plants. 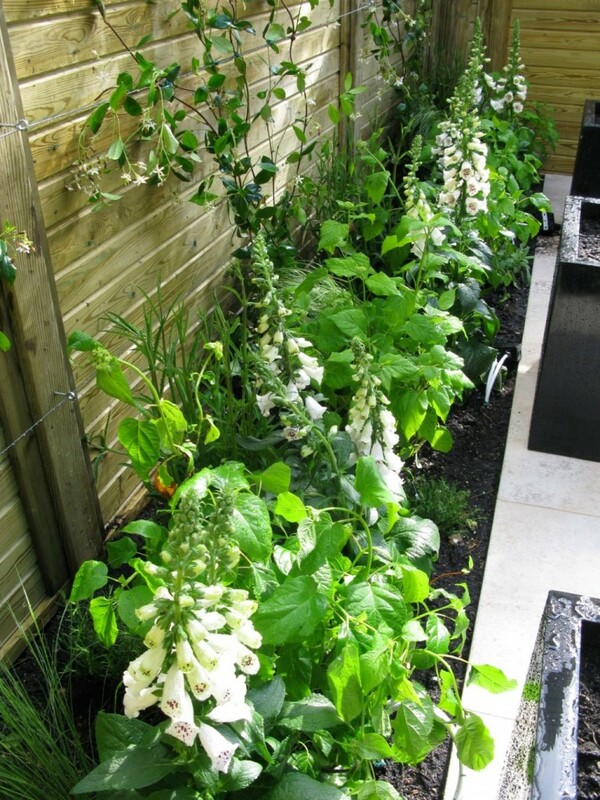 A sloping bank in front of a mature hedge was planted in a more contemporary style using a mix of evergreen grass and mainly white, robust, perennial flowers, including Foxgloves (Digitalis), Leucanthemum and Centranthus. This created a meadow-like look with a long season of flower, and requires very little on-going work. We prepared the site prior to planting; the soil was a mix of heavy clay and chalk and the borders full of builders’ rubble. We removed the rubble and added new fresh topsoil along with organic compost. 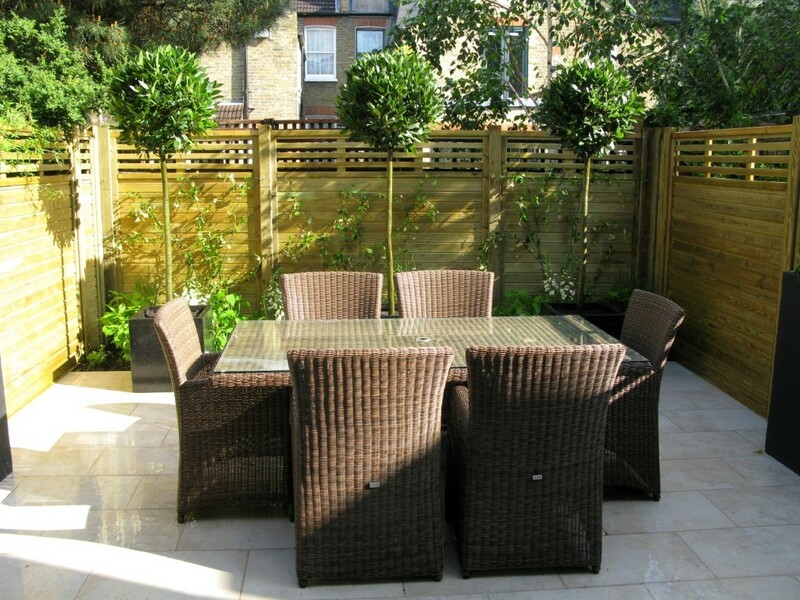 The scheme was installed in early spring, with warm soil and took around three weeks to complete.